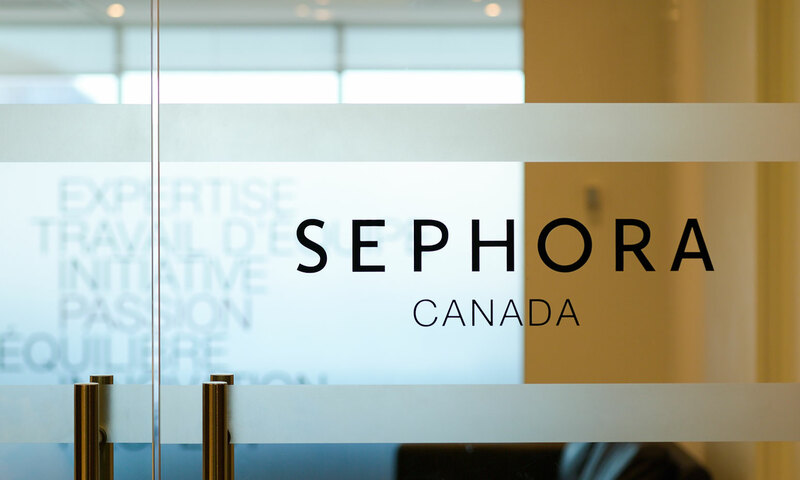 A important player in the beauty industry, Sephora has established its offices in the heart of Montreal’ high street district. 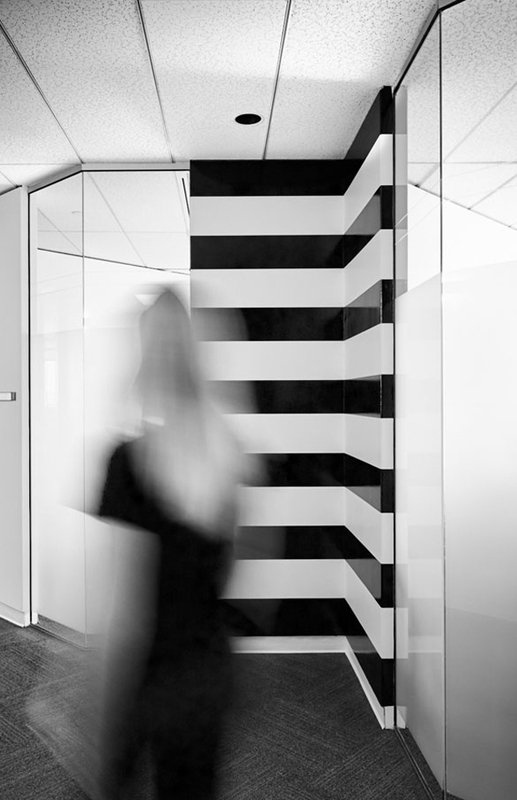 Having settled for an 8000 square foot space, the new office was an excellent fit for the client needs in terms of layout and collaborative rooms. The bold and graphic look was developed with fashion and beauty retail in mind. 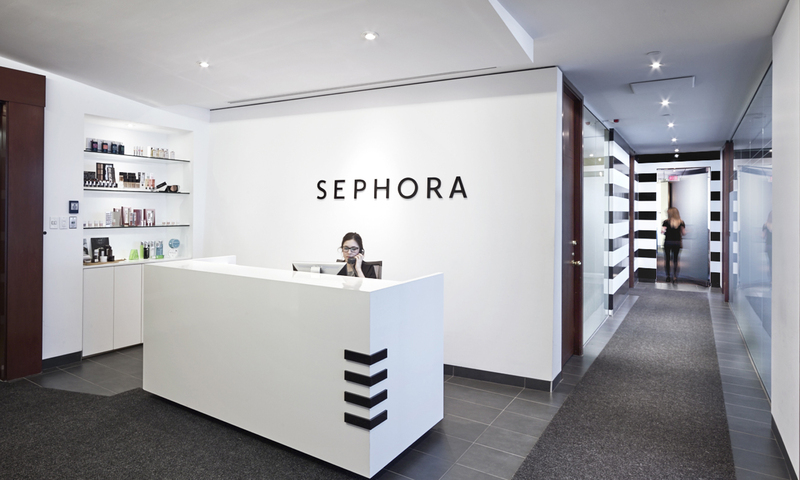 However, after the refurbishing, Sephora’s distinctive brand needed to permeate the new office and be translated from retail to corporate. 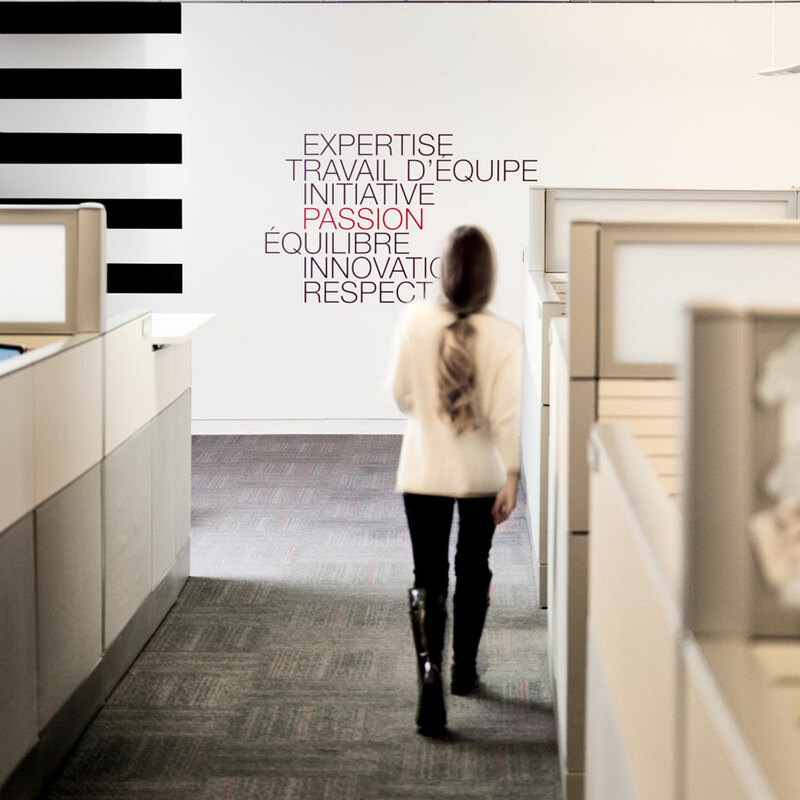 While the characteristic black and white stripes were used to invigorate the corridors, the main attributes of the brand; smart, savvy, stylish, spirited, superior were more subtly infused through lightly written words and a scattering of red touches just like little kisses!